Similarly to the skin, hair also ages. It loses shine, gets less elastic, falls out more often. When you turn 30, your body is no longer able to deliver a proper amount of nutrients. The processes of scalp ageing speed up and progress faster than you expected. Discover the most common causes and signs of hair ageing. Your hair has lost its color, it is prone to damage, it falls out and breaks – your body has started ageing. What caused such a change in your hair condition? The level of keratin (builds hair and nails) lowers when we grow older. Fewer nutrients get into the hair bulbs. What can you do to reinforce hair and nourish the scalp? Use products enriched with coenzyme Q10, cosmetic oils or scalp ampoule treatments. Avoid cosmetics with silicones that weigh hair down. Go for products designed for sensitive scalp and delicate hair. 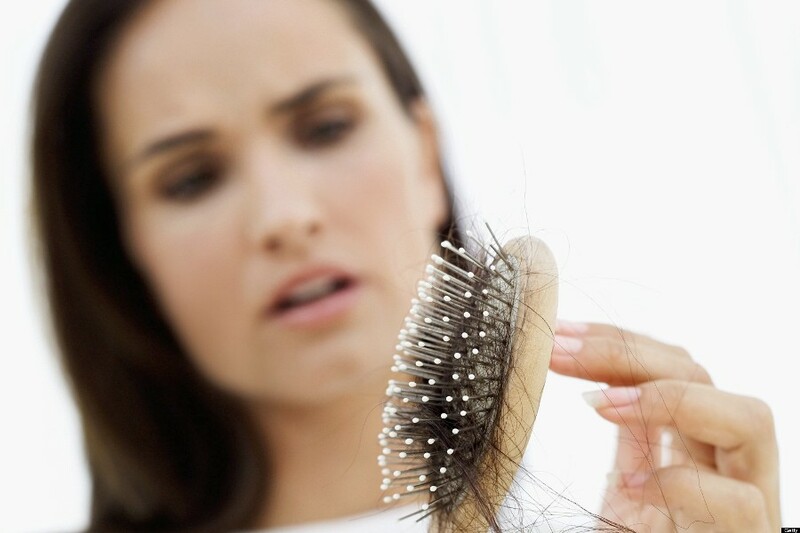 If you have scalp irritations, your hair will be weak. During every hair wash, massage the scalp to increase blood flow. As a result, more nutrients will be delivered to the bulbs. Use liquid treatments for damaged scalp and hair. Give up on strongly purifying shampoos because they can lead to the feeling of itchy and tight scalp. Get rid of SLS shampoos and all products containing alcohol. Such treatments damage hair and dehydrate the scalp. If you dream of beautiful, strong and healthy hair, cut down on blow-drying, straightening and curling. High temperature makes keratin evaporate from your hair. Using dyes with ammonia leads to dry hair and loss of its natural shine. Can you prevent it? Use blow-dryers with ions, heat protection products. Avoid strong fixing sprays. Dye your hair with herbal products. How do you condition your hairdo? Your diet and hair washing also affect the speed of hair ageing. With the passing time, the scalp produces less sebum so there is no point in washing hair every day or every other day. Consequently, you are less exposed to irritations, dehydration and flaky scalp. Choose anti-ageing shampoos that strengthen and deeply nourish. The food you eat also decides about the hair condition. Eat lots of fruit and vegetables; enrich the meals with proper supplements. Previous StoryDry, Normal or Oily Hair? How to Define Hair Type & Choose the Right Products? Next StoryA Highlighter: Types, Properties, How to Choose the Most Stuitable One?